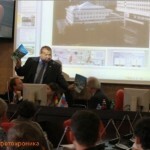 September 8, 2016: International Forum was opened by the rector of the NRU MSUCE Alexander Volkov, presenting the report “System engineering of effective building management.” Andrey Anatolyevich emphasized that this theme – innovation, on which the conceptual base is formed just now. 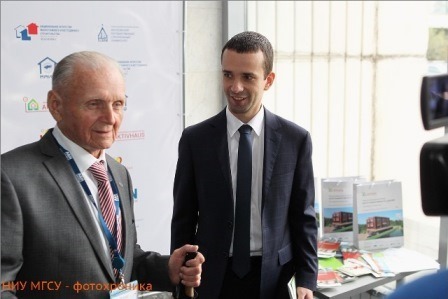 Rector noted that today we can be proud of the achievements that are made in this field on the basis of the NRU MSUCE this direction and he does personally. 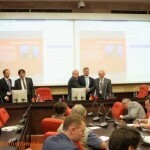 “A comprehensive approach to this issue, as in the creation of such buildings is a variety of tasks – security compliance, the formation of a comfortable environment for living and working people. 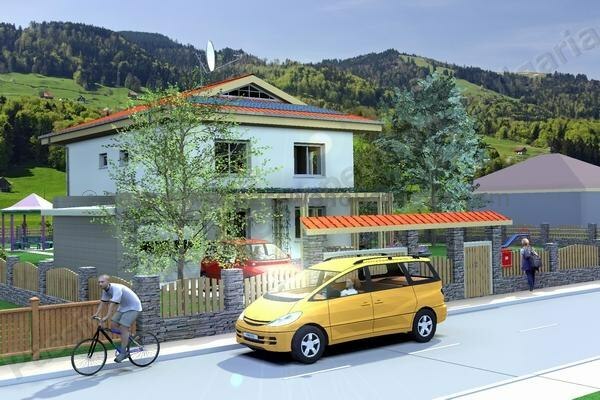 Such projects are a large number of components, no option should not be missed. 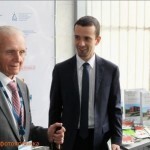 ” Also rector Alexander Volkov said about the concept of “life cycle of buildings and structures”, as well as the indicator of “building intelligence quotient”, which is of great importance in assessing the effectiveness of a project. 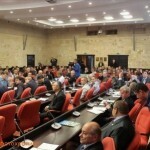 His speech Rector of NRU MSUCE ended invitation to cooperate fully and work together on this topical subject. 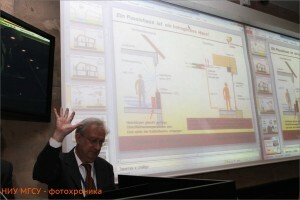 The Forum for the first time in Russia made presentations on the experience of the construction of energy efficient buildings in Germany and Europe, the famous German scientists – Prof. Dr. Wolfgang Feist and Dr. Benjamin Creek. 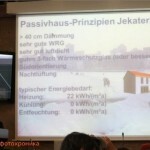 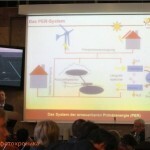 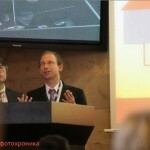 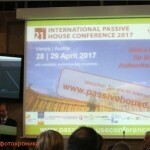 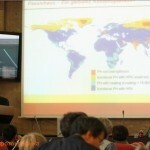 Director of the Passive House Institute (Darmstadt, Germany). 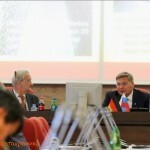 It should be noted that to date Professor Feist has never been to Moscow, and he said in his speech the important words: “Science is – outside of politics!”. 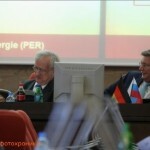 Wolfgang Feist in his speech addressed to the audience, also said that they have long been developed the subject “life cycle of buildings and structures” in cooperation with the Soviet and then Russian scientists and learned a lot from his colleagues. 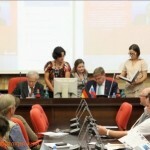 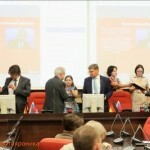 He remembered Professor of NRU MSUCE V.N.Bogoslovskiy, who he considers as his first best teacher. 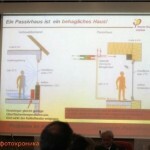 Dr. Benjamin Crick spoke on “The value of the new certification classes of Passive Houses”, which highlighted his experience – in Germany, he heads the working group on the certification of components for this kind of buildings and defended his doctoral thesis on experimental houses. 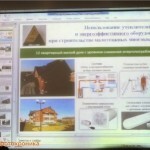 Russian experience in this field presented Ph.D., General Director of “ABN Hi-tech”, a graduate of NRU MSUCE B.A.Nikolaev, introduced the Forum participants with the practical results of the operation of energy-efficient houses in Russia. 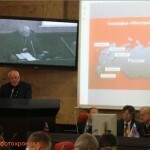 He touched this topic, and the difficulties faced in the implementation of these technologies in Russia. 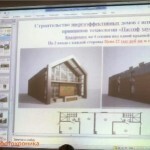 Experience in construction of energy-efficient buildings in different climatic conditions of the regions of Russia shared the Deputy Chairman of the Expert Council on Housing Policy and Housing of the Committee of the State Duma, deputy coordinator of the Program of the State Duma of the development of low-rise housing “Own House”, a member of the Expert Council of the RF Government V. Kazeikin. 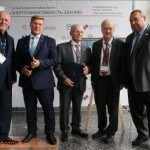 Similar projects have been implemented in the Kaluga region, the Samara region, in the Sverdlovsk region (near Yekaterinburg), and in the Moscow region. 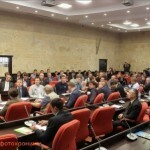 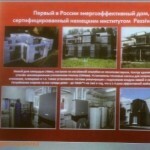 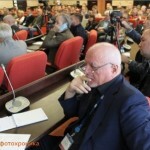 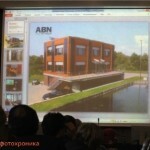 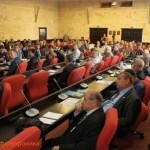 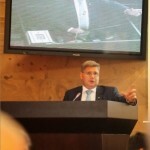 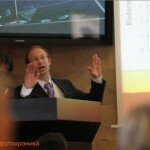 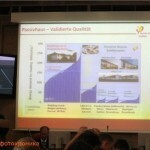 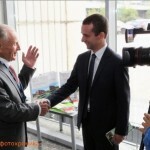 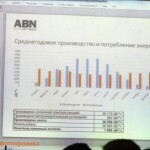 V. Kazeikin said that now the prospects for the construction of energy-efficient buildings in Russia are quite serious. 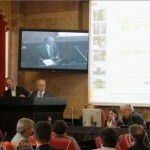 Other speakers of the Forum touched on many aspects of the construction of “Active home”, the use of energy-efficient building materials, the need to integrate resource use and prospects of alternative energy sources.